Observational Skill does not require any knowledge of English or Mathematics. Neither it requires any logical reasoning. You need to good visual power to have good observational skills. Solving the Picture Puzzles are very good way to improve your observational skills. 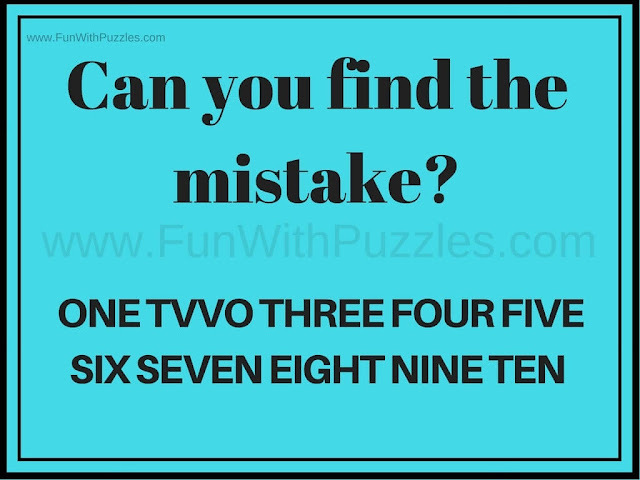 So here are few picture puzzles to test and improve your observational skill in which you have to find the mistake in the picture puzzle images. Here are 5 different picture puzzle images. Each of these picture puzzle images are having one mistake each. Your challenge is to find to mistake in each of these picture puzzles. 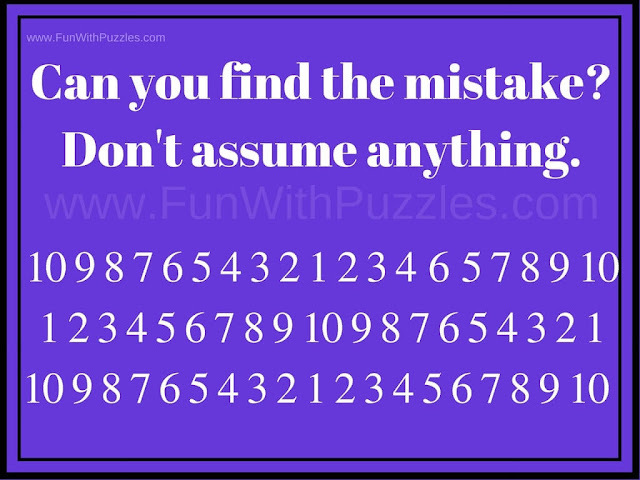 Lets see how quickly you can find the mistake in these picture puzzles? 1. Can you see the Mistake in this Picture Puzzle Image? 2. 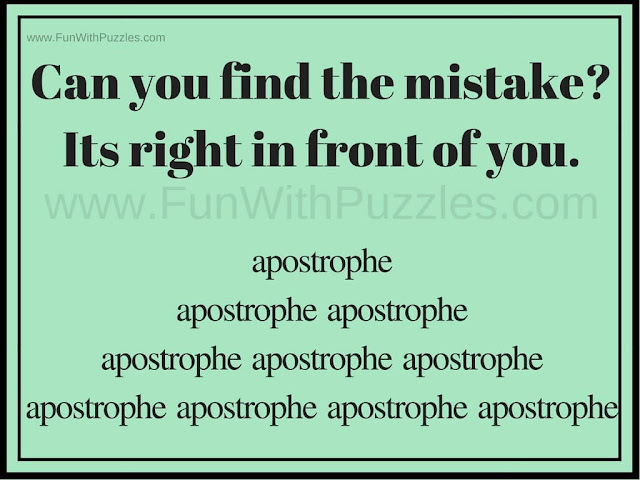 Can you spot the Mistake in this Picture Puzzle Image? 3. 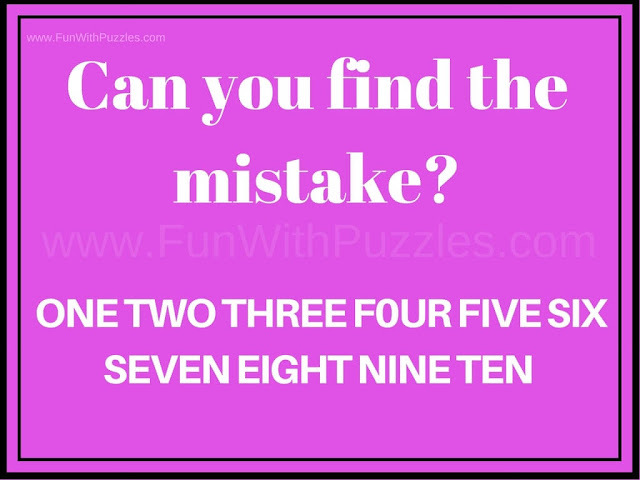 Can you find the Mistake in this Picture Puzzle Image? 4. Find Mistake in this Picture Puzzle image. 1. 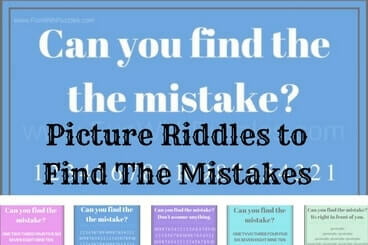 Tricky and cool brain teasers of finding mistakes in given pictures: It contains tricky puzzle picture images in which one has to find the mistakes in the given pictures. 2. Fun Picture Puzzles to Test Your Observation Skills: It contains many fun picture puzzle for testing and improving your observation skills. In these picture photo puzzles animals are hidden and your challenge is find these hidden animals in given photographs. 3. Hunt For Hidden Letters - Exercise your brain: These are the Brain Teaser Pattern Picture Puzzles to exercise your brain. In these brain teasers letter and numbers are hidden in given patterns and your challenge is to find these hidden letters/numbers as quickly as possible. Love yourblog, awesome leisure activities and brain simulators. Great job, keep it up. where can I find the answers. 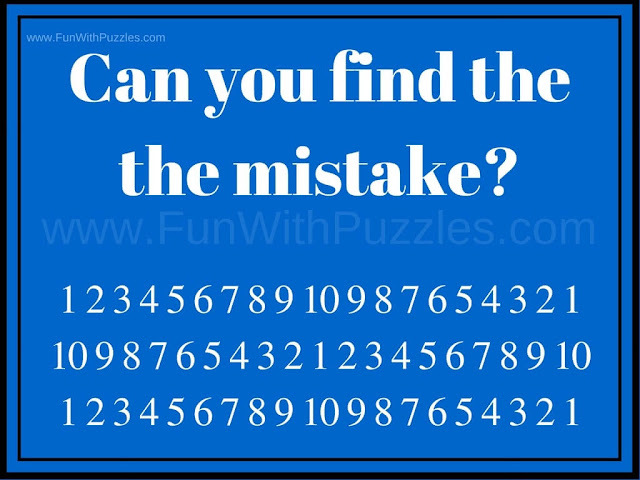 Link to Answers for these mistake finding picture puzzles can be found at the end of the puzzle images.